Having in possession bulky and heavy items may represent quite a moving challenge. Such an item would be a pool table – large, heavy and expensive. As an entertainment piece, it sure has provided you with lots of fun and relaxing times. However, when it comes to its moving and disassembling you may find yourself in a predicament. If you are feeling adventurous and willing to take on the responsibility, you should be prepared of what’s to come. If you are worried about how to dismantle a pool table, don’t despair, Dumbo Moving and Storage NYC is here to offer you some tips. The opportunity to test your friendships presents itself! Not only pool tables are heavy and complex, but they are fragile and can get damaged easily. So, get together a group of physically prepared and trustworthy friends. It takes a lot of muscle power to move an item of nearly 1,000 pounds. Prior to assembling your team, make sure that you get the preps done. Firstly, you need to know the size of your pool table. Get the measures right so as to be sure that it smoothly gets through the doorways, staircases and halls. 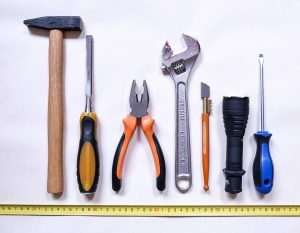 Gather the necessary equipment, such as screwdrivers, drills, socket wrench, staple remover and safety goggles. Use moving blankets, packing paper and bubble wrap to protect the delicate parts of the table. Have the manual nearby so that you can take a look at the instructions while taking apart the pool table. It’s good to be organized in the process. Don’t forget to store and label everything you remove. It will save you time and trouble when you put the table back together. If you did all the necessary preparations, you are now ready to dismantle a pool table. The task may seem overwhelming, but don’t worry. Pool tables are meant to be disassembled for safer handling and transportation. You shouldn’t encounter major problems if you follow these basic steps. Dismantle a pool table by removing the side ball pockets of the table. Depending on the model, they can be secured by screws or staples. In either case, you will have to get underneath the table and take apart the ball pockets using a staple puller or a screwdriver. You should wear safety glasses to protect your eyes from flying particles. The next step is to take apart the side rails by unscrewing the bolts that are holding them with a socket wrench. Here you will need the assistance of your friends in order to remove the rail gently in one piece and place it on a blanket to be wrapped. Don’t forget to put the screws and bolts in a labeled bag. Now it’s time to remove the felt that can be either glued or stapled to the table. Proceed with caution to prevent ripping off the fabric. Use the staple remover or carefully pull the cloth with a backward motion. Here comes the most intricate step of removing the slates. They are the heaviest element made of rock and therefore are tightly screwed. You will need to use a power drill and some manpower. Be extra careful while handling the slates, because they can be damaged easily. And, you don’t want to drop the most expensive element of the table! After the previous step is completed, disconnecting the legs and the frame should be a breeze. Once you’ve successfully dismantled the pool table, carefully wrapped it and packed it, feel free to relax and proceed with your moving. Having followed the steps above your table should be transported safely to the new destination. Reassembling the pool table can stress you out now that you are aware of the amount of work involved in the process of dismantling it. However, it can work to your advantage since you have the know-how and the experience. 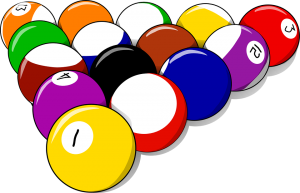 Setting your pool table back together will be done in the reverse order. So, you are already familiar with the steps that need to be taken. It goes without saying that the help of your friends will be crucial, once again. Hopefully, they are still up for a challenge! It is best to start reassembling the legs and the frame having the table upside down. Once you’ve finished, flip it over and proceed with putting back the slates in the frame. This is the most important step in the assembling process. 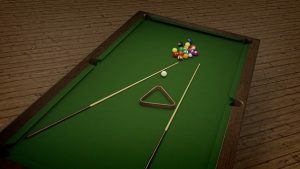 The slates and the table need to be perfectly leveled so that you can still enjoy your billiards game. Use the carpenter level and check the corners and the center of the table. The felt needs to be placed evenly and without any creases. Finally, secure the rails back on the same spots trying not to wrinkle the felt and attach the ball pockets. After finding the perfect house or apartment that best accommodates your needs, it is time now for you to start meticulously organizing your move. As much as it is exciting to move to a different environment don’t forget to start planning the moving process. Because it is a process for a reason! You should always be aware of the time and the means at your disposal and manage them well. The D day can creep on you and before you know it, panic will take over. In order to ensure a hassle-free relocation, preparation will be of utmost importance. It is always a good idea to start with making a checklist of your moving tasks. That will keep you on track. You should make a general inventory of your belongings so that you can get enough packing supplies. Pay special attention to disassembling bigger articles. Start by ordering plenty of boxes in a variety of sizes, packing paper, labels, bubble wrap, storage pads and make sure not to run out of tape. If you’re in a time crunch, browsing the internet will save you some shopping troubles and give you the opportunity to compare prices from your home and get some free moving boxes. When it comes to valuable and fragile articles, make sure to obtain the best specialty accessories that will protect them during transportation. Specialty boxes, frame protectors, extra padding and resilient materials will prevent damaging your possessions. However, moving larger and bulkier items like pianos, vehicles or pool tables require professional handling. In that case, you may want to consider hiring professional piano movers NYC that can also help you transport and dismantle a pool table, for instance. Organizing a move is no easy task. Should we add to the equation the moving of heavy items, it is highly recommended to solicit the services of a reliable moving company. Dismantling and assembling your valuables should be done professionally. Prior to committing to one mover, you should take into consideration all the factors and special requirements such as transporting and disassembling of large items. This can add to your costs and we all know how tricky is to find respectable yet affordable movers NYC. However, it is possible if you do your research in advance and take advantage of some special deals. Make sure to gather relevant moving information and choose a legitimate mover. 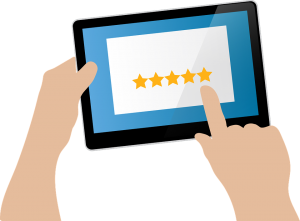 Checking customers’reviews online can be helpful, as well as visiting official websites. There are plenty of rogue companies looking for naive victims! Those are usually not carriers, but brokers that will charge you for extra fees while mediating with a carrier. Don’t fall for an instant quote with an appealing price. They will purposely lower the offer and present you with the actual price once the job is done. An accurate moving estimate is done right on the site or via video. The estimated price should be based on your particular case. Having decided to trust your precious belongings to professional movers, you should expect the best possible service and smooth moving experience. Valuable items such are pianos, pool tables, artwork, antiques or vehicles are usually the most difficult to handle or uninstall. If you wish to move or dismantle a pool table you should rely on the expertise of seasoned professionals.